NEW YORK (dpa) -- Renault-Nissan is talking to General Motors about buying GM's Saturn line, according to two different published reports today. Saturn is one of five car lines the country's largest car maker intends to shed as it races to prove its financial viability to the U.S. government before a June 1 deadline that could spell bankruptcy if it falls short. The other brands include Opel, object of a possible bidding contest between Italy's Fiat S.p.A. and the Canadian supplier Magna International Inc.; Hummer and Saab. GM has already sounded the death knell for its line of Pontiac muscle cars. The Wall Street Journal cited two informed, unnamed people close to the Renault-Nissan talks as saying Saturn could provide the basis for growth in North America for the joint French-Japanese firm. Earlier today, Bloomberg reported that Nissan, Japan's third-largest car maker, could join a venture with U.S. retailer Penske Automotive Group and Saturn. Nissan, along with its affiliate Renault or another car manufacturer, could make Saturn-brand vehicles in an arrangement operated by Penske and distributed through Saturn's existing retail network, people close to the talks told Bloomberg. Penske has exclusive retail rights for Daimler's mini-car, Smart. Bloomberg later reported Renault and Nisssan CEO Carlos Ghosn saying he's not discussing a possible purchase of Saturn or Opel. Ghosn, in a Paris news conference, didnt directly deny that hed been approached about Saturn and added that he is often contacted by entrepreneurs about ideas for potential cooperation in the auto industry, the news service said. GM said Monday it had a "number of buyers" interested in Saturn after it announced last week it was seeking bidders. 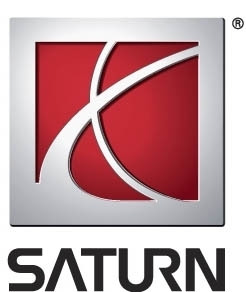 Saturn has about 400 retail dealerships in the US and Canada. Its brand includes the Sky roadster, the Aura midsize sedan, the Vue compact crossover, the midsize Outlook crossover and Astra compact car. Vue and Aura include a line of hybrids. If GM does not find a buyer by year's end, the division is expected to close. GM is on a $15.4-billion government lifeline that will be cut off if the company cannot reduce costs and become viable by June 1. Last week Chrysler LLC, which has received $4.5 billion dollars in loans, ended up in Chapter 11 bankruptcy reorganization as it sought to close a partnership with Fiat. The company is hoping to emerge from protection in 30-60 days if it wins key decisions in bankruptcy court.